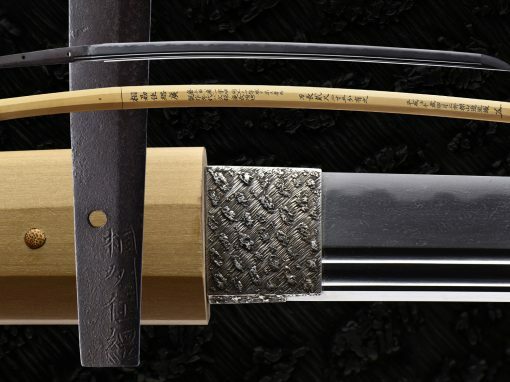 Ishido Teruhide (1900~1982) was the 10th and last generation of the prestigious Ishido Korekazu line of swordsmiths in Edo/Musashi Province (Tokyo). 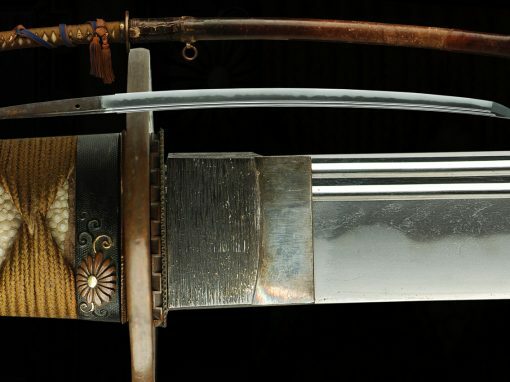 He was the descendant of the famous Musashi Daijo Fujiwara Korekazu. 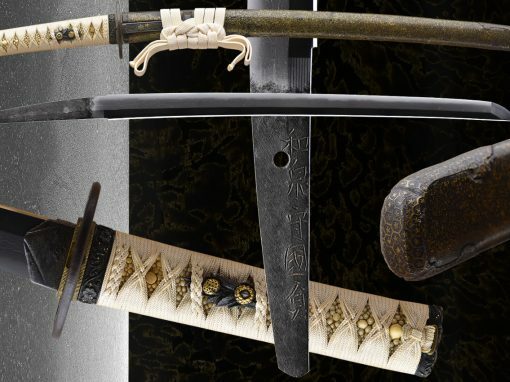 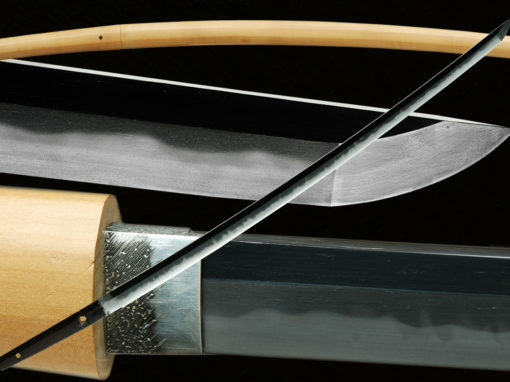 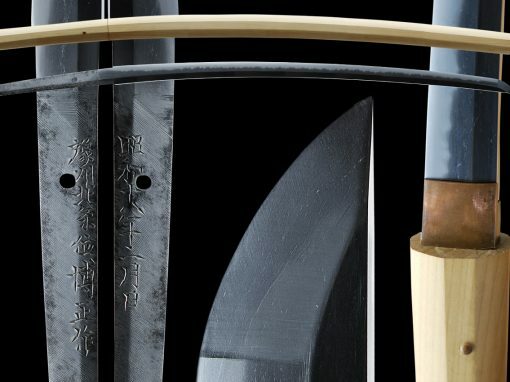 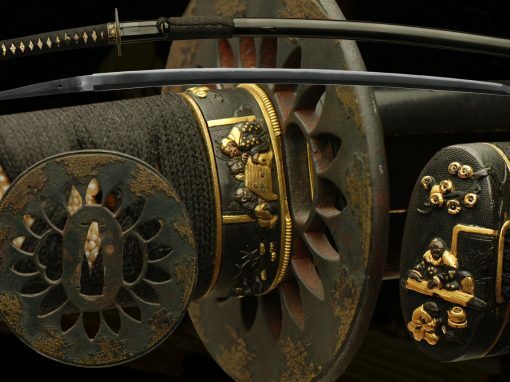 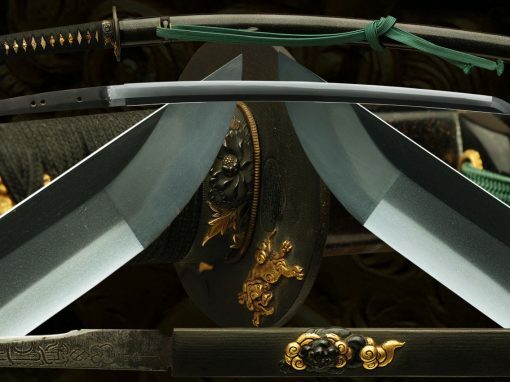 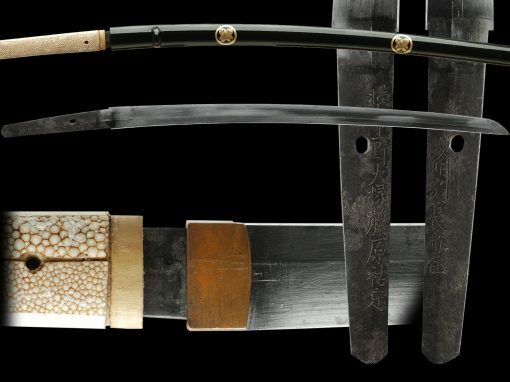 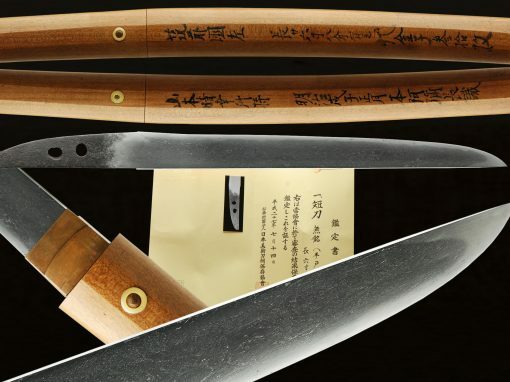 During WWII, he produced many swords for high-ranking military officers and also made blades for civilians. 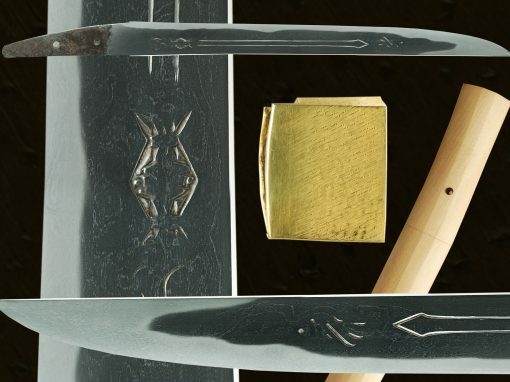 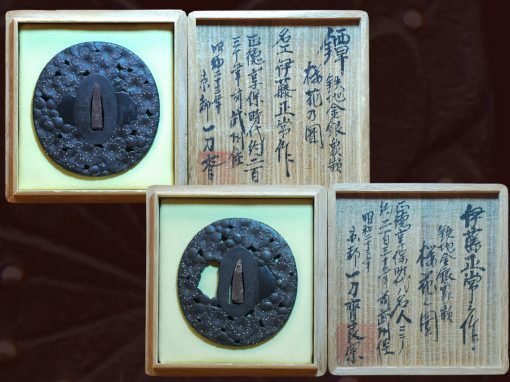 Ishido Teruhide was ranked Betseki in the 1943 swordsmith rankings by the Nihon Token Tanrenjo and the Nihon Token Shinbunshi. 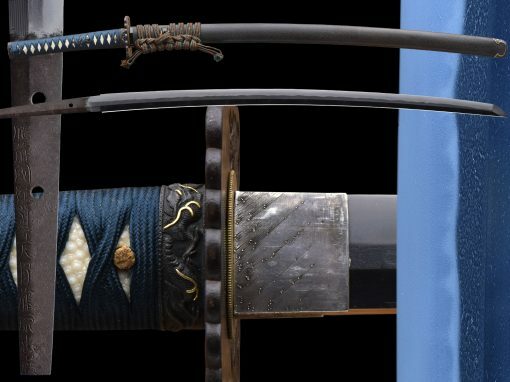 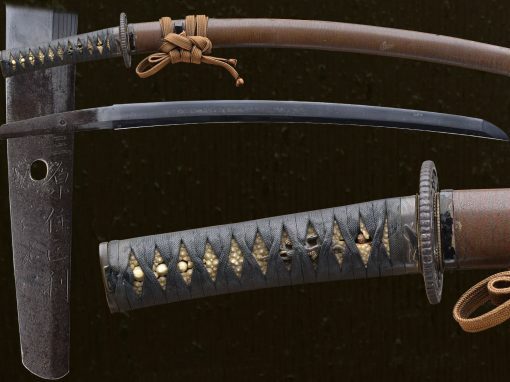 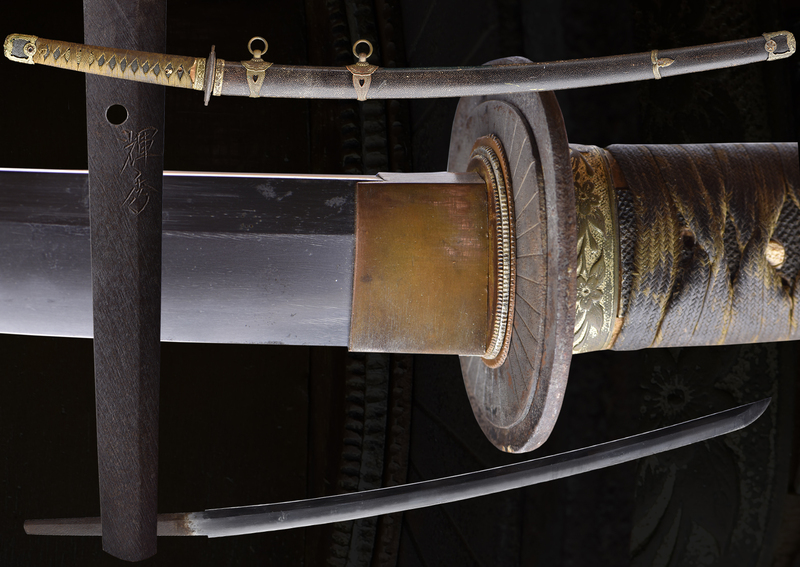 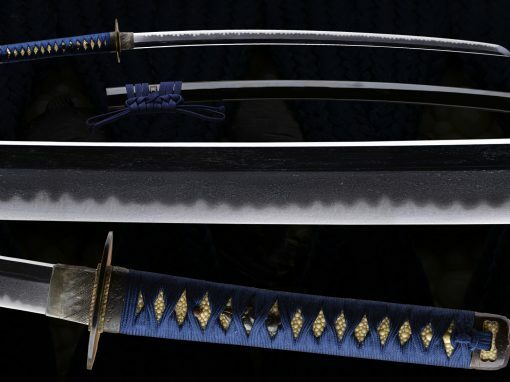 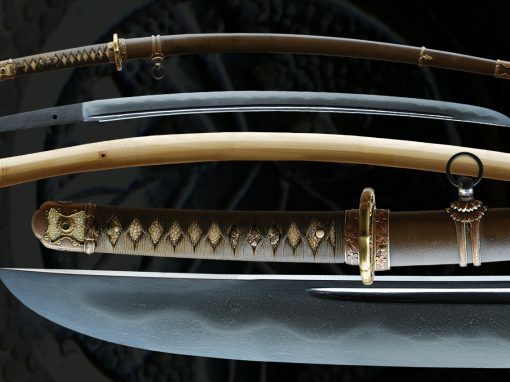 As in all Ishido swords the construction is sublime. 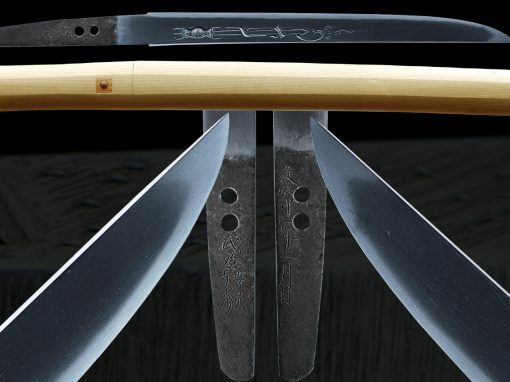 It has a with a fine ko-itame jihada and muji-hada with a suguha based hamon mixed with gunome midare. 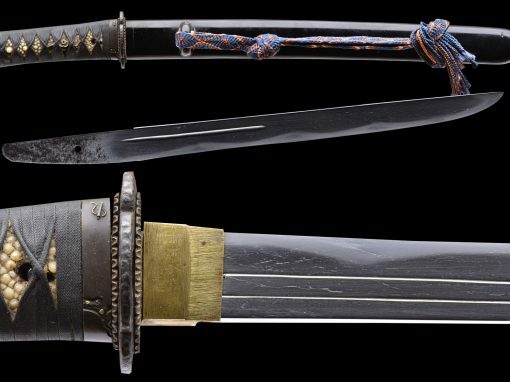 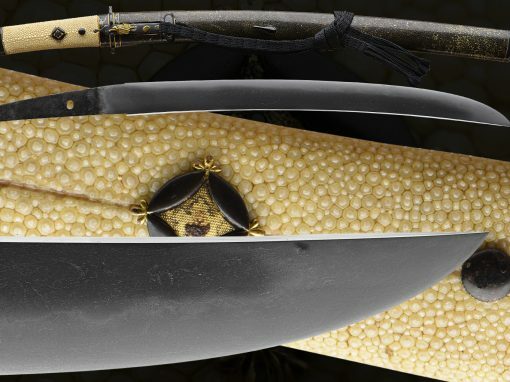 This Blade is in its original WWII Japanese Navy Officer Kai-Gunto Koshirae. 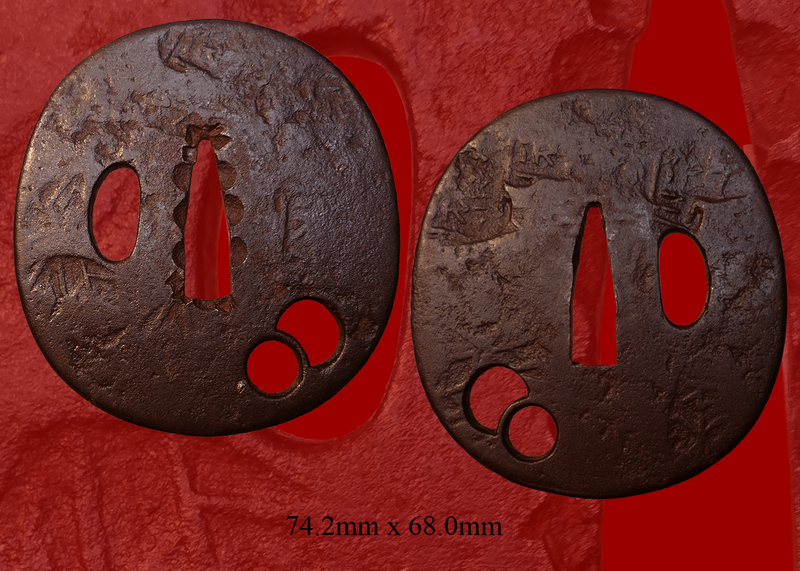 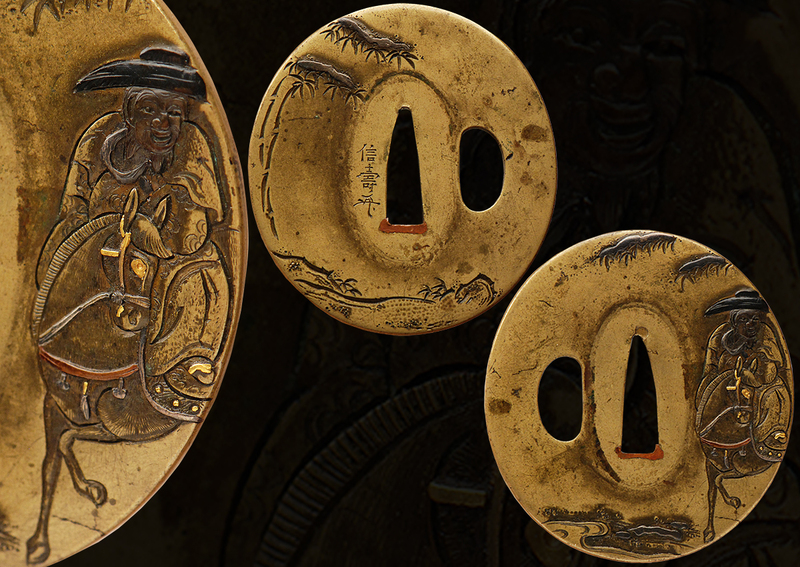 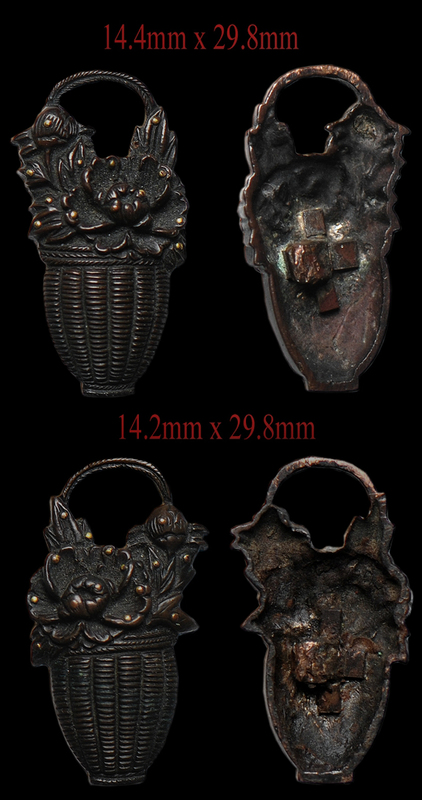 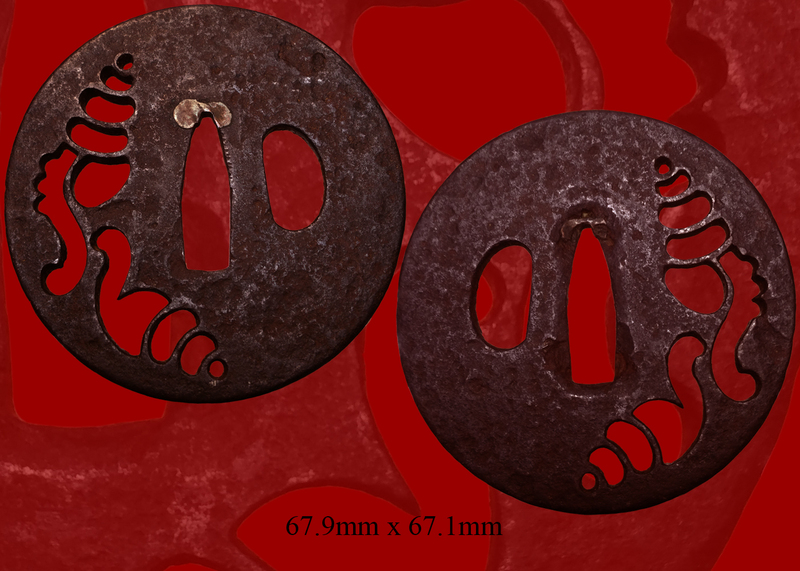 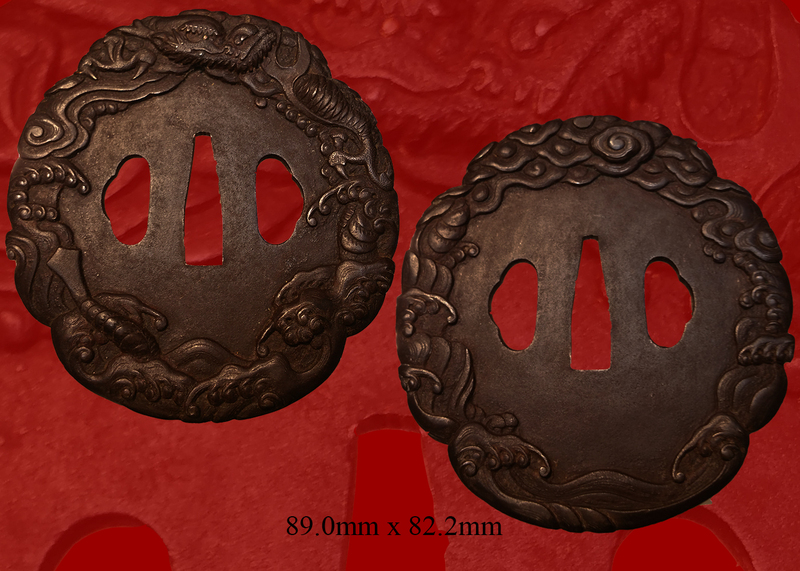 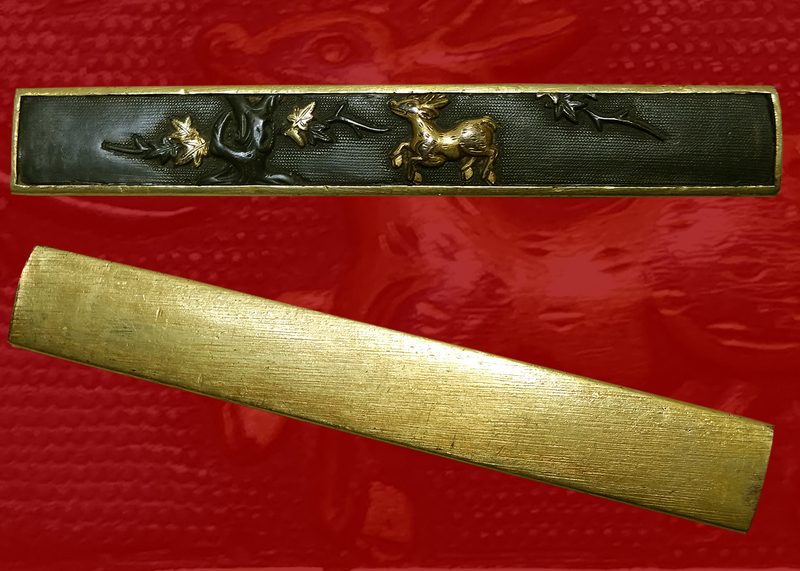 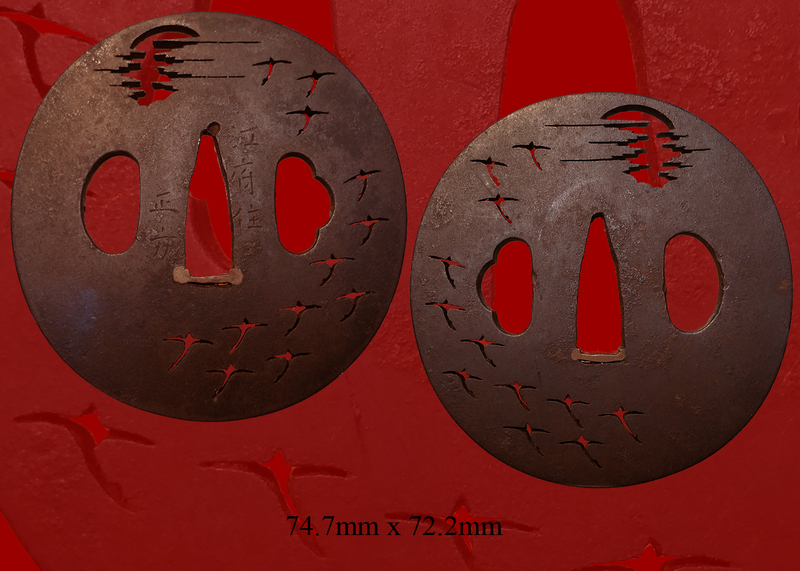 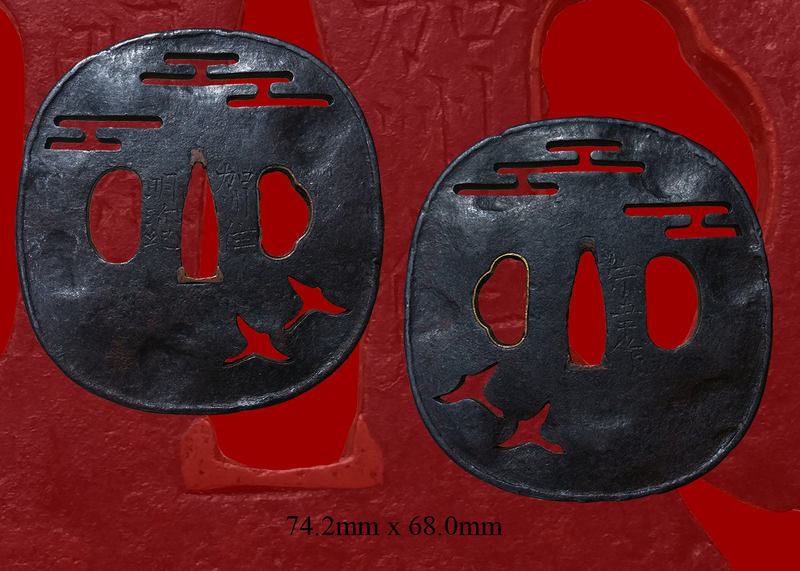 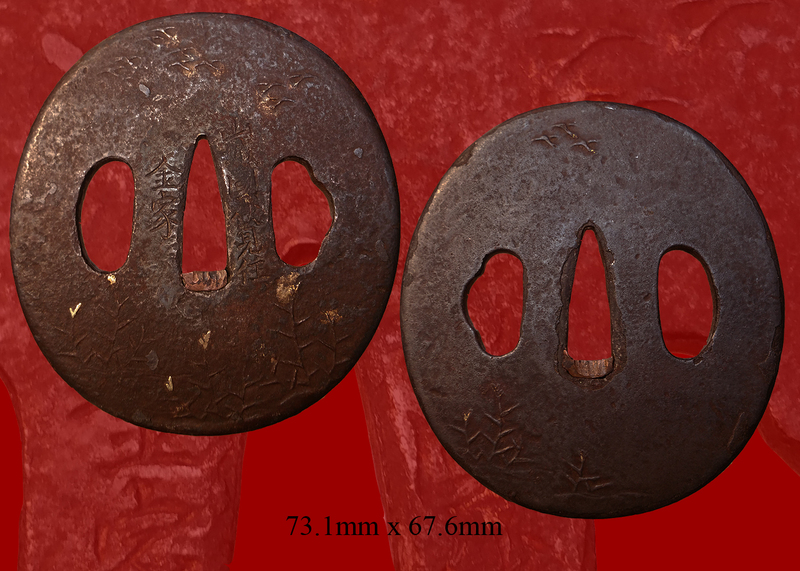 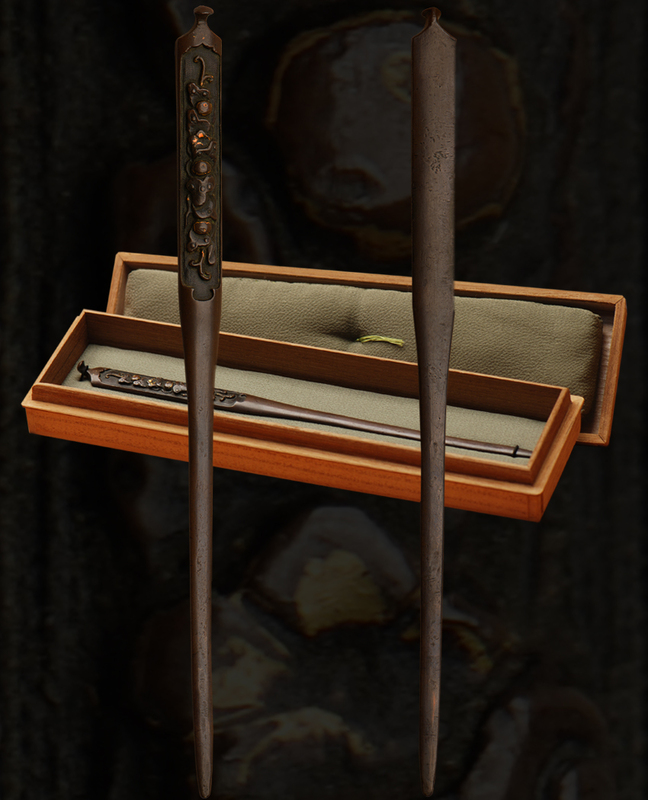 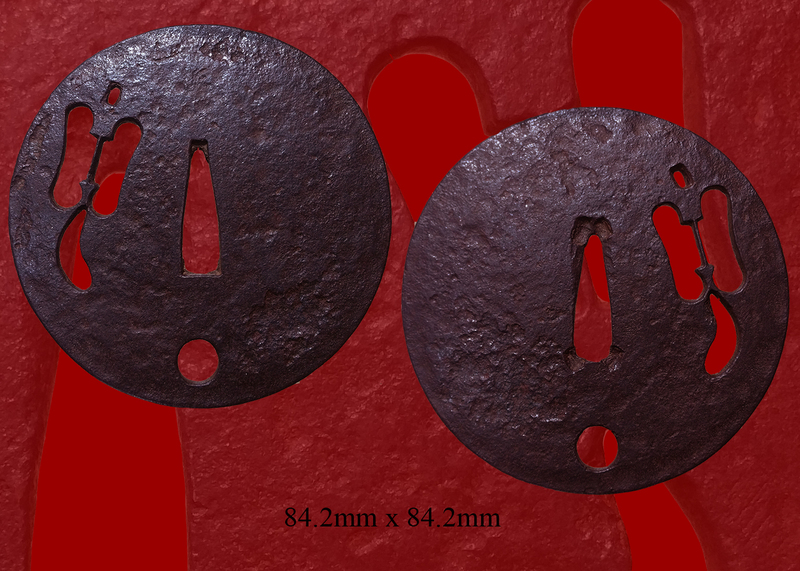 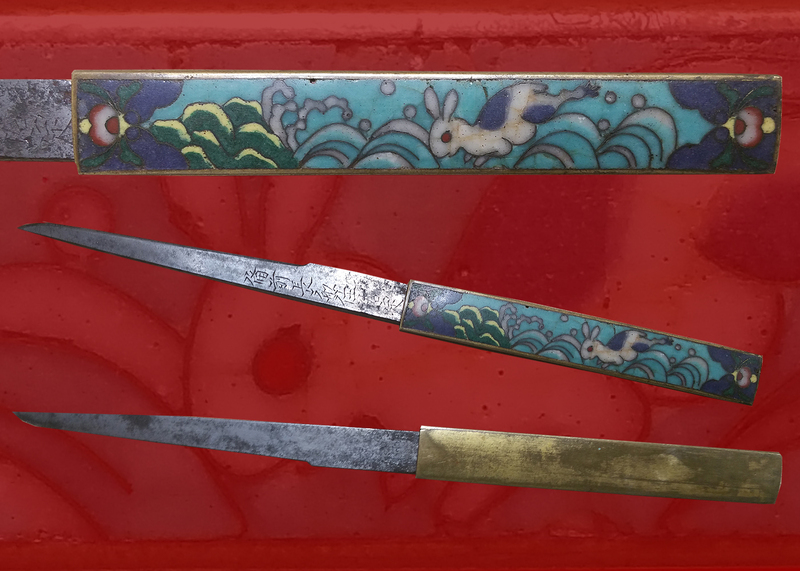 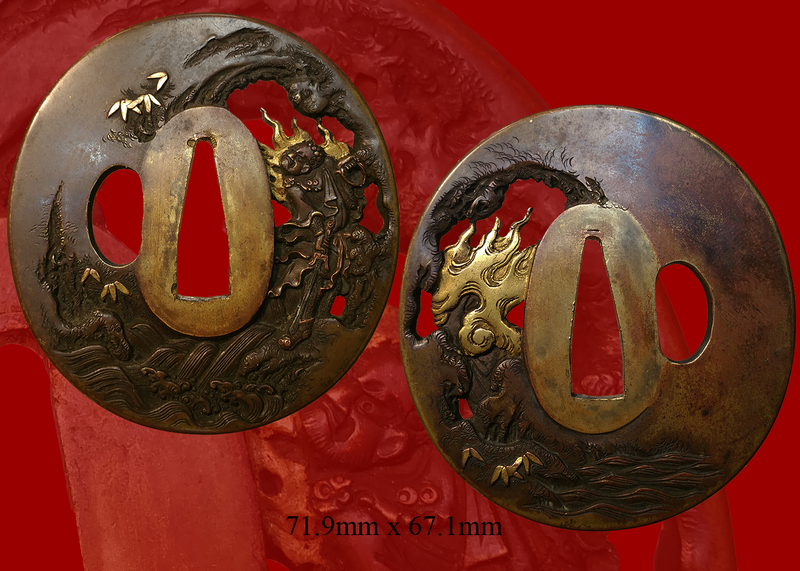 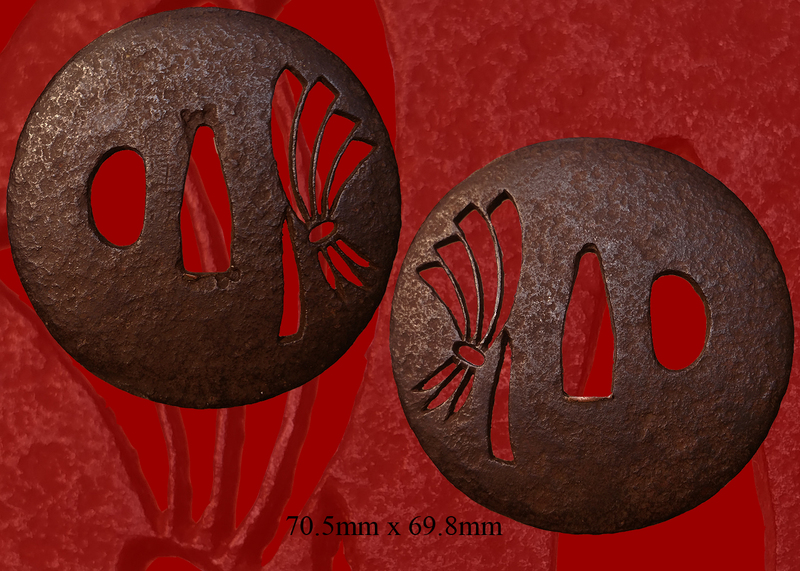 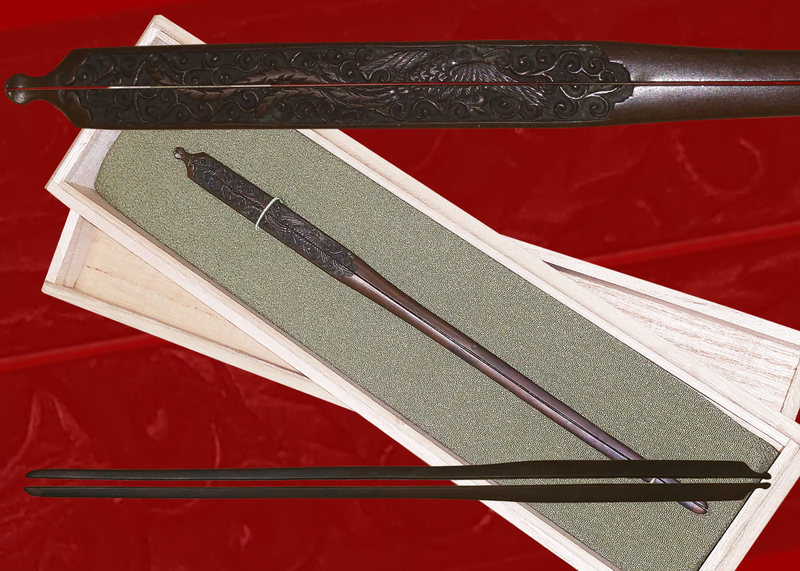 It also carries an original copper habaki and same saya. 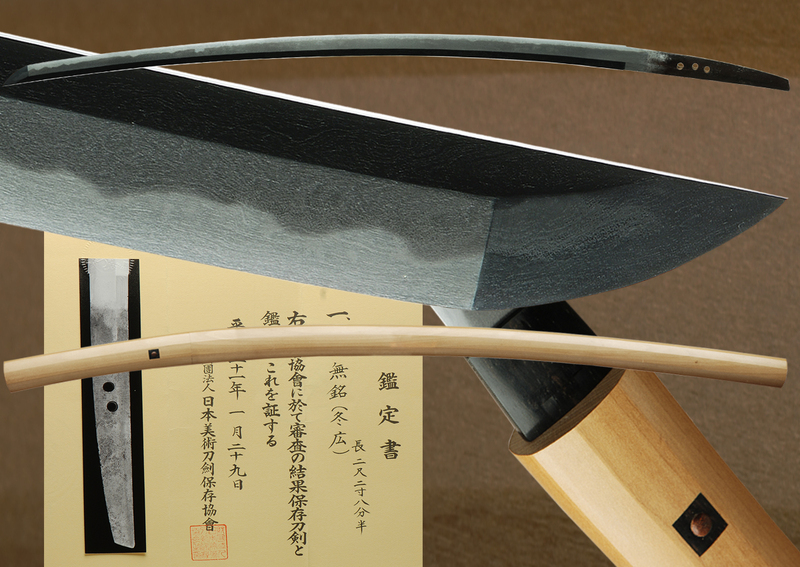 This blade would be outstanding in a fresh new polish with shirasaya. 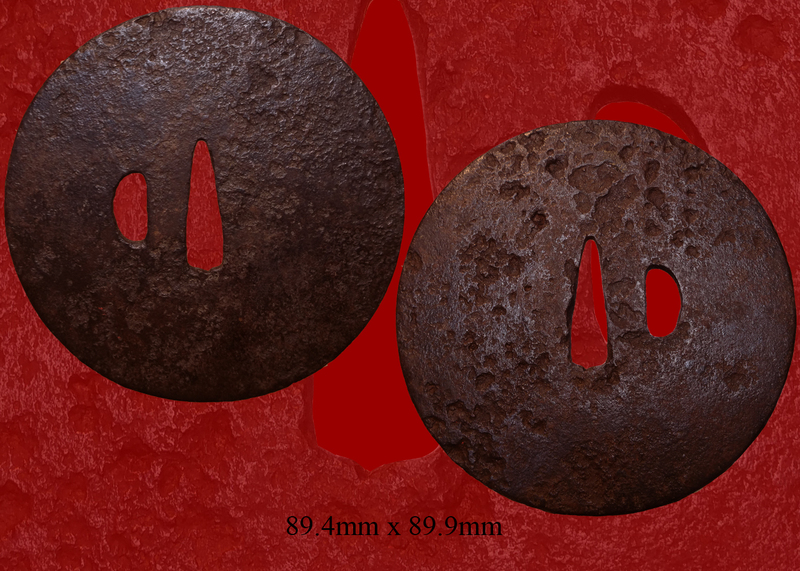 Email us if your interested in this item and remember to include the order number for this item: fss-823.